Everyone wants to be a superstar but very few actually put in the hard work to make their dreams come true. That might be the story for some who procrastinate, but not for one Delta College student. 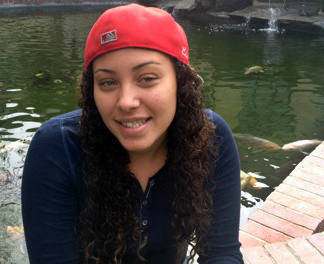 Erica Lutrell, 23, is a Stockton native who has been writing songs since elementary school. “I’ve been working for McDonald’s for seven years and this competition’s been ongoing on for three, so I figured why not try it out … if all I have to do is submit a video,” said Lutrell. McDonald’s made accommodations for Lutrell to go to Los Angeles, where she enjoyed her stay at a Hollywood hotel, like superstars do. The company paid the expenses, including studio time. McDonald’s even shot a music video to promote Lutrell being in the contest. A competition like this one that determines the winner by online voting can be stressful. Between school, work and a daughter, Lutrell is challenged with staying updated on the votes. “Online voting doesn’t let you know how many votes you actually have, but you can see how many shares you have on Facebook and right now I’m somewhere in the middle of the pack with more than 300 shares … while the top contestant has 12,000 shares on Facebook,” said Lutrell. “If I finish in the top three, my next stop is Orlando, Fla. for 10 days and I will compete worldwide on stage. Winning this competition would give me more confidence in my singing abilities and open so many doors for my singing career,” said Lutrell. To watch her music video and vote go to: voiceofmcdonalds.com. Voting opened in October. It will end Dec. 2 at midnight.